← Congratulations to our latest winners. At month 30 when Annex 21 (formally Annex U) is exhausted, staff will move to the bottom of band 5, scale point 16, at which point their incremental date will be reset. 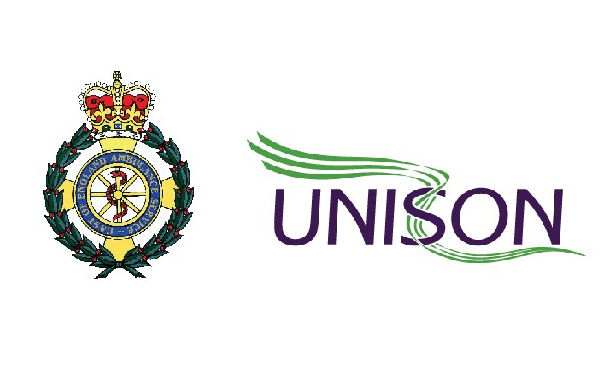 As a ring fenced agreement for student paramedics (cohorts UEA 1-50 and ARU 1-55), staff will move to spine point 19, at month 42 of employment on the student pathway, or 12 months post registration, whichever comes first. This is understood – based on the figures provided by the Trust – to apply to 853 frontline staff. Incremental progression will continue annually until the NQP completes the consolidation of learning programme and moves across into band 6. This also provides a ring fenced agreement for graduate paramedics who were offered and accepted a position with the Trust prior to the 1st September 2016, to progress to spine point 19 at 12 months post-employment. Incremental progression will continue based on the incremental date, as the NQP completes the consolidation of learning programme and moves across into band 6. In line with the national agreement, on completion of the NQP period (which includes fast track, or a maximum period of 24 months), paramedics will be assimilated into band 6, i.e. will move across to the first spine point in band 6 and then continue to progress incrementally, based on their incremental date. The local agreement also includes an absolute commitment to support NQPs to complete their consolidation of learning programme and therefore progress to band 6 at the earliest opportunity (subject to fast track arrangements, see below). Recognising the retrospective application of the NQP role, the following actions will also be applied to newly qualified paramedics, employed between 1st September 2016 and 31st March 2017 (the start date). This refers to newly qualified paramedics, registered with the HCPC and who commenced employment in one of the 10 English Ambulance Trusts, or Isle of Wight NHS trust as a paramedic between these dates at Band 5, not subject to the job matching process (For the Trust this includes ARU and UEA cohorts SP1 -10 and graduate paramedics). UNISON and the Trust are in discussions about ARU cohort SP11, who have been delayed for one month through no fault of their own, which has put them outside the April deadline. The Trust has committed to an outcome for these staff by the SPF December meeting with UNISON. In accordance with national agreement timeframes, fast track arrangements for staff outside of the above agreement (post 1st April 2017) will be confirmed by no later than January 2018. The Trust also recognises their maybe individual exceptional circumstances and it’s been agreed these will be considered on an individual basis.